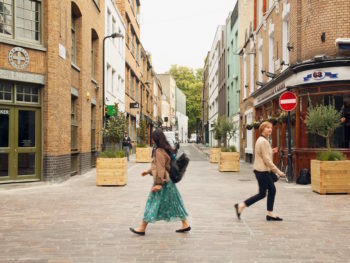 London is set to see more car-free and low-emission streets under a new £6m funding programme. Boroughs are being urged to bid now for a share of the funding, which will target the worst polluted areas in the capital. Part of the funding will be used to establish four more Low Emission Neighbourhoods (LENs), which support people and businesses to start using ultra-low emission vehicles while also running car-free and low-emission streets. These will join LEN schemes scheduled to go live in 2019 in Westminster, City of London, Greenwich, and cross borough neighbourhoods in Redbridge & Newham and Hackney, Islington and Tower Hamlets. Six smaller Business Low Emission Neighbourhoods are being delivered by the Mayor and business groups. The funding is the third and final round of the £20m Mayor’s Air Quality Fund, which has already been put to use to deploy ULEVs on Hackney Council’s vehicle fleet, fitting low-cost electric charging points onto lampposts across Hounslow, and establishing a green courier service in Waltham Forest.